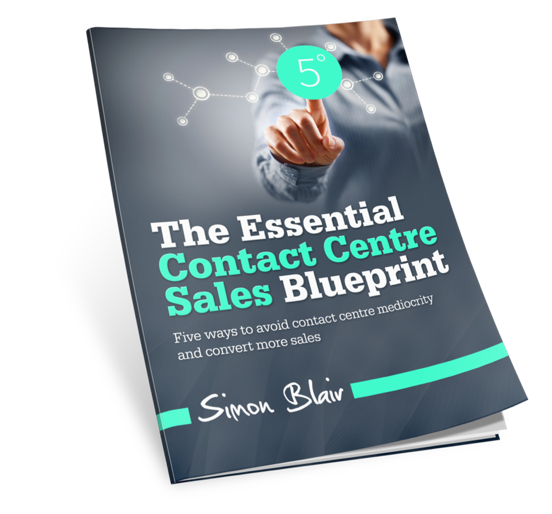 Simon’s e-book ‘The Essential Contact Centre Sales Blueprint’ is available for free download by clicking the e-book image. If you wish to convert a heap more sales than you do currently, and create incredible outcomes for customers and your Contact Centre staff, you will learn what you need to do within its pages. It’s all achievable through reading and implementing the specific actions revealed in each of the 5 core methods revealed. Unlock the potential of your Contact Centre and make a difference to your business, people and career. Download from our free resources page. He’ll get back to you within 24 hours.